Finally a bar Chengdu can be proud of! 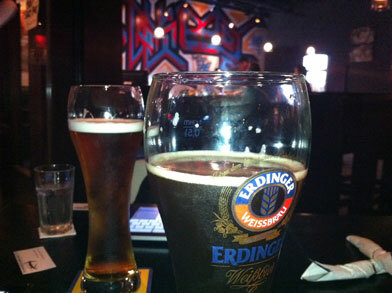 My husband and I just enjoyed a homemade barbeque pork sandwich at the lazy pug, a bar/restaurant near jiuyan qiao. I’ve been in China a long time and never actually liked a ‘western’ restaurant! This place is the real deal-laid back american owners, american chef, homemade barbeque sauce, travel photes, good music! Check this place out, nothing like it anywhere in the city (or even the country)! 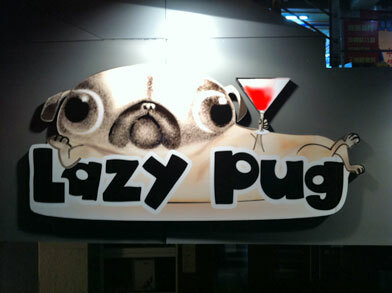 Lazy Pug is indeed a quality establishment. Stylish interior, quality drinks, and- its true- the most authentic western food I’ve had in the city. Most authentic western food in the city? I must check this place out. Anyone know the exact location in relation to Jiuyan Qiao? I believe it’s in the same building as KaffeStugan on the ground floor. Opposite the Cinema on the first ring road heading east before you reach Jiuyan Qiao. Thanks Ben. I’ll seek this place out. I’d like to check this out myself. Any chance of a map link to save me arsing about looking for it. It is called the ‘lazy pug’ after all! Easy to find: kinda opposite the cinemas on Yihuan lu, about 15 mins walk from the north gate of Sichuan uni. I checked out the Lazy Pug just a few days after they opened. Seemd OK, and the owner was cool. Only had drinks. Alas, if i wanna eat at places like this i gotta get another job…(45 kuai for a burger! WTF!). Damn, my cat eats better than i do…. Thank you all for the positive feedback, we are excited about our new venture and as we begin we know we have many kinks to work out. We are sorry that you feel some our food is too expensive, however we have hired a chef from the United States and want the quality of our food to be the best it can possibly be. Unfortunately, to offer good quality and consistency in Western food to China the ingredients we must purchase are also expensive. 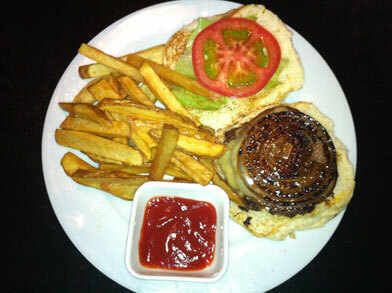 We do offer weekly drink specials and every Wednesday all teachers and students will recieve 25% off all food and drink. Again, thank you all for your feedback and we look forward to serving you in the future. Don’t hesitate to contact us if you have any questions or if we can make your experience with us any better. One more thing, for anyone looking for us: If you grab a copy of the latest Chengdoo Citylife magazine we are highlighted in the map in the center in section G6 and our listing can be found on page 17 (you can show the listing to the taxi cab driver, if you don’t speak Chinese.) Once you are here we are located beside Burton’s and below Kaffestugan. Thanks again and we look forward to seeing you. I finally made it out to the Lazy Pug the other day and loved it. 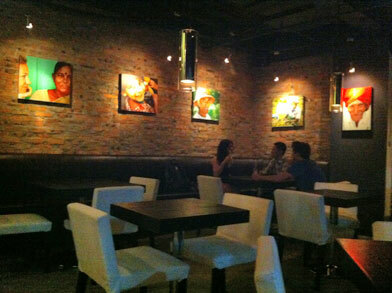 The place is immaculate, tastefully designed, and the service is spectacular. Great food and drinks too, fantastic beer selection in particular. And of course seeing Gas‘ art behind the bar was nice! Here are some photos I got when I was there. If you’re thinking of going, look for the pug sign in the photo below. It’s right underneath a multi-level complex on the west side of 1st ring road, about a 5 minute walk south of Jiuyan Qiao. I second Charlie’s account, the place is nicely decked out, serving good food and drink (with smiles! ), and carrying a decent tune(s)! I couldn’t help but think the place should be bigger, as it will surely attract a host of regulars in due course. There’s even free Wi-Fi into the bargain! I’ll be heading back there for sure. I heart the Lazy Pug. Before seeing this forum, I went with a friend and I was hooked instantly. For me, befriending the owners and employees have made my move to Chengdu extra special. Be sure to get to know them – great folks. I like this gem of an establishment so much, I find myself here two or three times a week. Scrumptious food – great drinks – and fabulous people. And yes, the free wifi is great for student workers like me to do my work. In fact, I am writing this while at LP! No kidding, same thing when I went with hzwerks. The chef even came out and said hello. Gotta be the friendliest place in Chengdu. Overrated. Seriously, best western food in Chengdu? There is better western food at mediocre fusion restaurants like Princes Kitchen. I tried the pulled pork sandwich which I read is so wonderful: it’s like local braised pork and red cabbage stir-fried on a bun. Not a Good bun. The bread is sweet, which you’ll not find in any good foreign restaurant. Hint to owners, you can buy buns without sugar at places like Auchan. Second, TOAST the bun. The sandwich is like a sweet soggy mess. The chips are oily and tasteless, the salsa provided has no real texture and is too watery. Google a good salsa recipe: use diced onions and garlic with a paste base not whatever the pureed pink ‘stuff’ was. Caesars salad is alright, but for 48 kuai, you’d expect more than the most basic salad, should find a way to stand out beyond lettuce dressing crutons and cheese.. I did find it interesting that much of the staff are foreigners and honestly the service is good…. The drinks were alright. Stick to beers or martinis though, cosmos are not very good. I have only eaten there once. The menu is limited. I enjoyed the pulled pork sandwich, it most definitely wasn’t the soggy mess described by Rick, but lacked content and didn’t warrant the high price. An excellent selection of beer. Good atmosphere helped by the very friendly staff, great service, and solid music selection. I’ll probably head back in few months. Hopefully by that time they will have extended the menu a bit and improved the quality/quantity or reduced the price. 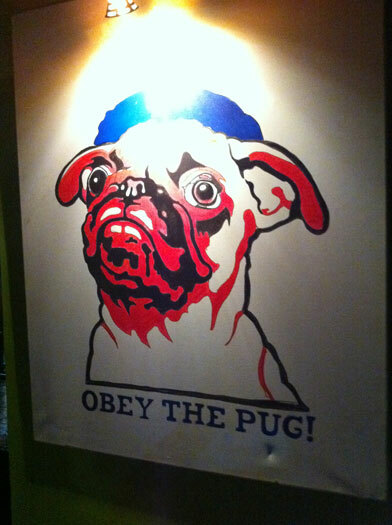 I must confess, I have eaten at the “Pug” a few times now. I felt compelled to write a review about my meal there last week. I have become a fan of the owners, the staff, the salads, and in particular, the pulled pork itself, which is cooked for around 15 hours after getting a generous rubdown of spices. It is really good stuff. I was there last week when I decided to have the ribs for the first time. It was a good-sized portion of ribs, and it came with red cabbage slaw and their killer hand-cut fries. The meat was tender, as well as very high quality, and it was obvious right away that a lot of work went into finding this kind of quality meat in Chengdu. Also the preparation was excellent. I would say, really, that these were as good as any ribs I have had. The best thing about this place, besides the food, is the atmosphere in the bar area. They have a wide range of martini-styled drinks, but I like the Mohitos, which were on special that night. I would say it is unique to Chengdu, and should be a place where everyone feels comfortable and relaxed. I hope more and more people get to experience the “Pug” and get to know the people who work there, as well as trying out the food. We do appreciate both positive and negative reviews and apologize for your experience with us. We will most definitely strive to strengthen our menu as we move forward. In the future don’t hesitate to talk to us while in the restaurant, as we do handle any complaints immediately if they are mentioned to us at the time. Other people give positive feedback for the most part, so maybe it was higher expectations than I should have had or maybe it was different ingredients/prep. on my visit. I was most shocked with the buns more than anything. Mine looked like normal little chinified ‘burger buns’ you’d find at a local bakery which are sweetened and super, super squishy, almost cake-like..which is what kinda killed the overall sandwich from my perspective. It looked a little different than the photos above, maybe it _was_. * Kaiser style buns, lightly toasted. Or anything without sugar. * Mediterranean or something similar style mixed spices mixed in the caesar’s for a less-bland flavour. * Salsa needs work: it’s far too puree’d and lacks much flavour, salsa should be chunky with a kick. * Nachos were a little cardboardy with too much oil, maybe can try smashed corn base instead. * Table very wobbly, any local street-side ‘handyman’ can drill a couple holes into the base and bottom of table and install little props to keep it steady. 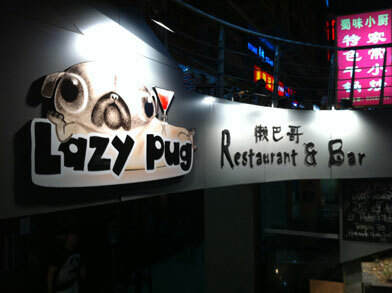 It’s really good to hear that Lazy-Pug has attracted more and more attention. I worked there be4 though just a short term, I feel really happy to be one of the members there.The bosses are nice to us and we like a family, being friendly to each other and enjoying the free atmosphere there. it’s a nice and unforgetable time working there. Though there are many things to improve, it’s still a good choice if you really wanna enjoy yourself.